North Dakota State University Bisons football team play their home games at the Fargodome in Fargo ND. Its capacity for a football game is 18,700. It is often a packed house when the Bisons play – they have won 5 consecutive FCS National Championships and have 8 former players playing in the NFL. That is a pretty impressive record. 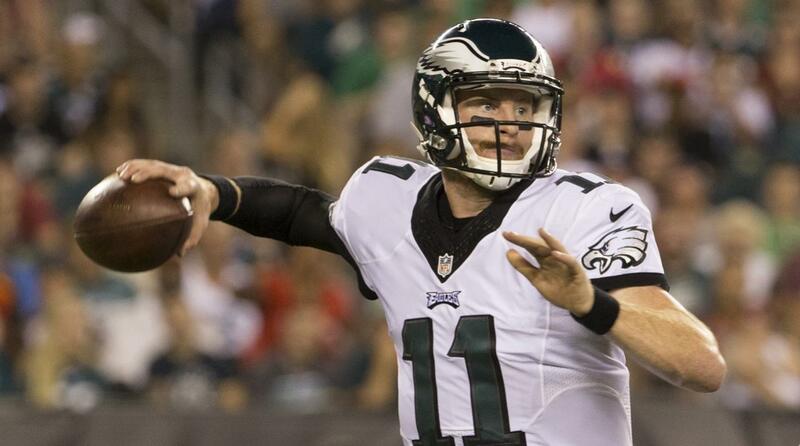 Philadelphia Eagles rookie quarterback Carson Wentz was on roster for 4 of those championships and was the starting quarterback for the 2014 and 2015 seasons. They drafted him with the number 2 overall pick last spring and over the course of the summer, named him their starting quarterback. That would be a big change in the number of people that would be watching Wentz play. Lincoln Financial Field in Philadelphia holds 69,176 for a football game. But for Wentz, the number of spectators didn’t seem too troubling. 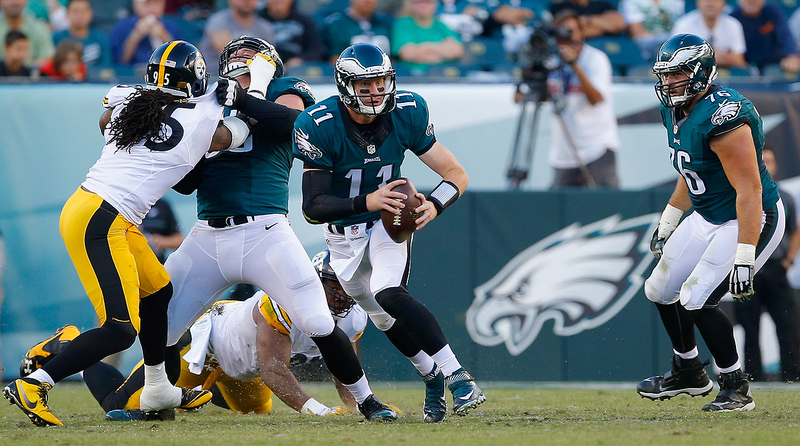 The Eagles started off the season winning each of their first three games. And while their record didn’t remain perfect, Wentz has had a solid rookie season thus far. He has completed 63% of his passes and has an 11-7 TD to interception ration. He has an 84.2 QB rating. And while much is expected out of first round quarterbacks, He has silenced many critics about his readiness to play at the NFL level with his play this season. 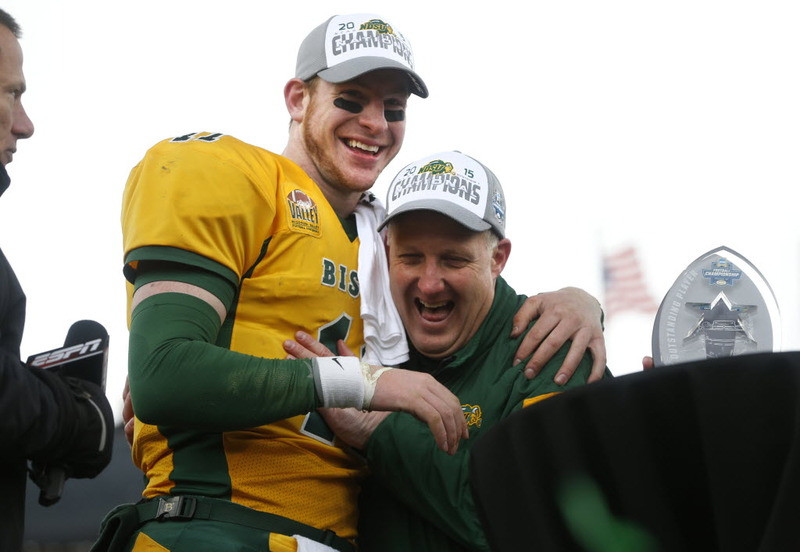 Wentz started for 2 championship teams and played on 5 in his time at NDSU. It was also during this time that Wentz really began growing in his faith. Wentz’ NFL career got off to a great start with 3 straight wins. He has been winning over the fans and teammates in Philly. 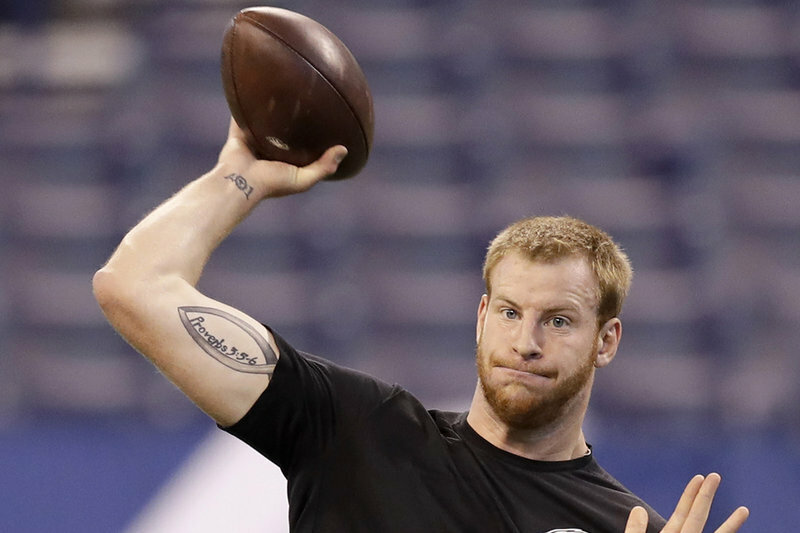 Wentz has a few tattoos that reflect his Christian faith. And as Wentz career begins, and his platform for sharing his faith grows, I am excited to see how many people he will have a chance to share his faith in God with. 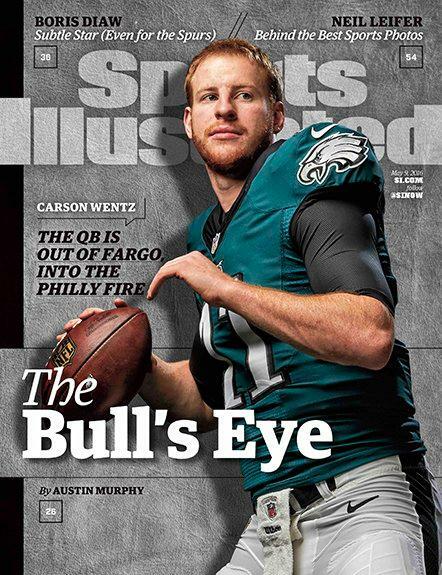 Wentz has silenced many critics about his NFL readiness. But as his tattoos indicate, his main goal is to play for God. 1- Audience of One – It is hard to imagine that when playing in front of tens of thousands of fans on a weekly basis and into the millions when you consider television coverage that it can all boil down to playing for an “audience of one”. What does that even mean? Well it means that Wentz knows that it is impossible to please everyone or live up to the expectations that those millions of people will have for him. Instead, he chooses to block that out, and concern himself only with honoring God and playing for Him. And that Audience of One goes beyond the lines of the football field, too. It means in every part of life, honoring God and making choices that reflect Him being the most important part of your life. So with that thought in mind, it is a challenge for all of us who call ourselves Christians. Are we living each day for God alone? Is He the most important part of our life? It is easy to get caught up in what others think of you and it is easy to drive yourself crazy trying to keep everyone satisfied with your performance. But God knows us, our faults and our shortcomings. He also knows the gifts and talents that we have and the opportunities we get to display them in a way that honors Him. He went to great lengths to show us what He thinks of us – We were worth dying for. And so not only is He our audience, He is anxious to cheer us on, encourage us, and help us play the game of life successfully which is to live for His purposes. In whatever your playing field looks like, will you join me in accepting this challenge to play for Him alone and let Him be the only one we concern ourselves with! 2- The Pressure is Off -Continuing the first point, when we do live for God, it is a relief of pressure. God promises to never leave us or forsake us. He promises his Spirit, his very presence to those who believe in Him. He values us, loves us and wants the best for us. That takes a lot of pressure off because we don’t have to prove our worthiness to Him. We couldn’t do that anyway because we are not worthy of his love, forgiveness or grace. But He gives these things to us willingly. In all other parts of life, people are out to tear us down, take our place or give us unrealistic expectations to live up to. That is not the way God works. He is for us and so if the God who created the universe and everything in it is for us, what can possible stand against us. He has already won, and invited us to the victory party. The pressure is off! Rest in Him and get ready to celebrate forever!